If you’ve been diagnosed with polycystic ovarian syndrome (PCOS) or suspect you have it, The Low GI Diet for PCOS provides advice about how to manage your condition, and shows how eating the healthy low GI (glycemic index) way can help you take control of your condition. 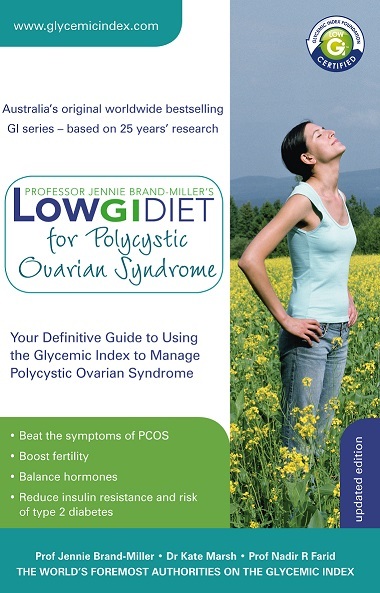 Now in it’s second edition, this updated version explains exactly why a low GI diet can benefit women with PCOS and is filled with easy-to-follow advice on switching to a low GI diet and making other important lifestyle changes which will help in managing your PCOS. Recommended reading for all women with PCOS. Buy your copy in all good bookshops or online here.